Wahj Al Ayn Company is a Provider of modern transportation services since 2005, has offered a full range of transportation and logistics services to meet all the needs of modern businesses. As a dynamic modern transportation company with a strategic location based in Baghdad, Basra, and Erbil and extend network affiliates in all over Iraq. WA Company can quickly and efficiently move any package, pallet, fuel or truckload across Iraq. Our dynamic Heavy-Duty fleet, Our professional drivers and staff are visible reminders to our commitment of providing an excellence and dependable services of transportation. 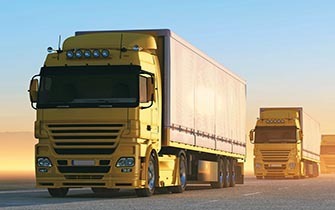 WA Company has strong understanding of the fast-paced nature of shipping distribution as a logistic demonstration of the highest level of personalize customer services to provide the cost-effective and feasible decisions for your business. We can provide you with a clear view of your supply chain to make sure every shipment is executed within the most efficient and concise manner possible. With Wahj Al Ayn company, you will have a single point of contact to help simplify the process and find the most cost-effective mode of transportation every time. Testing Products and makinf sure about getting the Customer satsfactory. 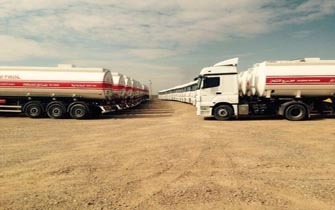 Our Vision is to be Iraq's most trusted transport and Logistics Company. Customer can be confident in WA Company as a service solution they can trust and that it will always deliver on promise, from the start. Based on Wahj Al Ayn company’s current and future relationships, it will meet your business’ distribution, customer service and expectations.